“Science without religion is lame, religion without science is blind." The field of science and faith in God contradict each other. It isn't possible that these two vastly different approaches to understanding our universe could bolster and even support one another - Or are they truly two different sides of the same coin, fueled by the universal human desire to connect with and gain a deeper understanding of our purpose and our place among the stars? Those are the fulcrum points of our existence." These questions, and many others, lie at the core of this incredible story, driving each of us to expand ourselves by entertaining the notion that maybe science and belief in a higher power are in fact compatible. But how exactly do concrete scientific facts and theories align with the more spiritual nature of faith and biblical religious teaching? What do the experts say about some of the complex theories and concepts addressed in this story? “I have looked into most philosophical systems and I have seen that none will work without God. Science is incompetent to reason upon the creation of matter itself out of nothing. We have reached the utmost limit of our thinking faculties when we have admitted that because matter cannot be eternal and self-existent it must have been created.” — Physicist and mathematician James Clerk Maxwell, who is credited with formulating classical electromagnetic theory and whose contributions to science are considered to be of the same magnitude to those of Einstein and Newton. Astrophysicist Hugh Ross is the founder of Reasons to Believe, an organization dedicated to demonstrating that sound reason and scientific research—including the very latest discoveries—consistently support, rather than erode, confidence in the truth of the Bible and faith in the personal, transcendent God revealed in both Scripture and nature. "Truth holds no threat for the Christian." Dr. Ross says, "Truth in the scientific arena, which can be directly or indirectly tested, will always be consistent with truth in the spiritual arena. And, despite protestations from all sides, truth in nature must be connected with something, or Someone, beyond the natural realm—the something or Someone responsible for nature’s existence and characteristics." 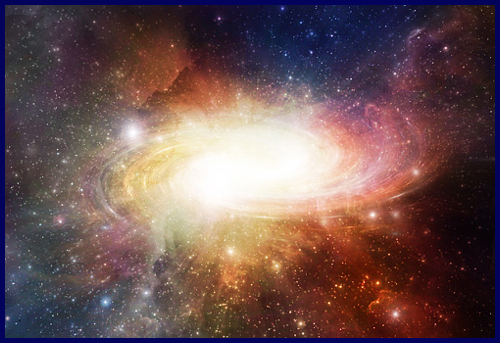 Will Judeo-Christian religion support every conceivable scientific theory? Of course not. But according to Dr. Ross, vetted, proven scientific theories only serve to fortify and corroborate, instead of nullify, the truth of the scriptures. An interesting thought to ponder, indeed. RTB is a great place to start if you're interested in more information. 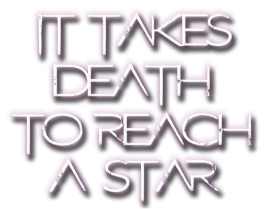 Also check out the links below for several faith based articles on topics related to some of the theories and concepts found in It Takes Death To Reach A Star.